In this article, Rachel Melrose describes what happens when she mixed mathematics with art. It Depends on Your Point of View! 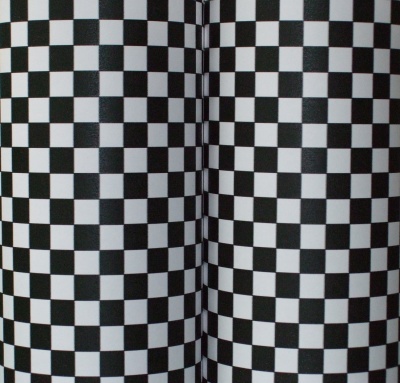 Anamorphic art is used to create intriguing illusions - can you work out how it is done? 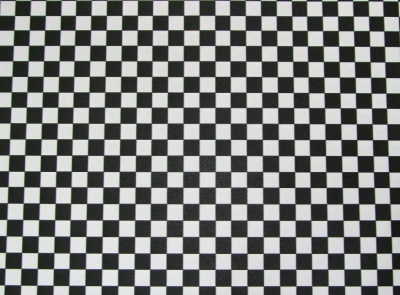 Take two pieces of squared paper and colour alternate squares, giving a checkerboard pattern. Now, curve your pieces round to create two cylinders, and stand them up together. How could you represent this effect on a flat piece of paper? 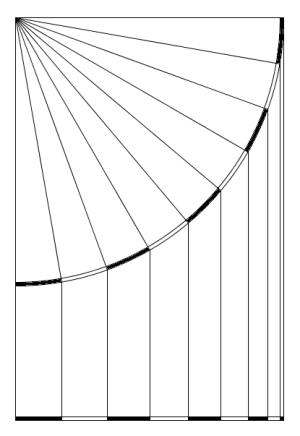 The diagram below shows what you might see if you looked at the cylinder from above. 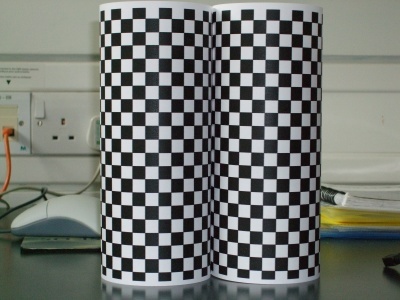 The construction lines may help you to work out how to recreate the image of the cylinders in two dimensions. You could vary the effect of your final image by altering the size of the black and white squares. We look forward to seeing your calculations and finished products! Complex numbers. Chemistry. Art. Generalising. Sine, cosine, tangent. Regular polygons and circles. Pythagoras' theorem. Constructions. Trigonometric identities. 2D representations of 3D shapes.